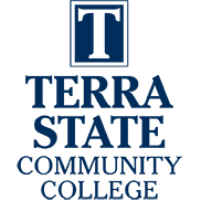 Fremont, Ohio, January 28, 2019 – Terra State Community College will be hosting their annual Spring Job Fair on Tuesday, March 5 in the Student Activities Center on the Fremont campus. The fair is from 11:00 a.m. to 1:00 p.m.
“We expect 75 to 100 employers again this year,” says Joan Gamble, Terra State Coordinator of Career Services. “We are accepting registrations from businesses to participate. Types of businesses participating include industrial, agricultural, HVAC, financial services, hospitality, medical, telecommunication, and law enforcement/security. These are only a few that will be at the fair.” Recruiters representing organizations with a pyramid structure, charging "sign on" fees, requiring the purchase of a "starter kit" or straight commission employers are not permitted to participate. If you are planning to recruit and hire employees and want to register, the process can be started at http://bit.ly/TSCC2019. Cost to attend is $80 and includes two lunches. If registered by February 12, your business will be listed in the program booklet. Advertising is also available in the program booklet that will be distributed to job seekers attending the job fair. Job seekers wanting to attend do not need to register. “We encourage those looking for jobs to dress to impress and to bring plenty of resumes,” Gamble says. For additional information, contact Gamble at 419.559.2522 or jgamble@terra.edu.